Tucked in the outskirts of my hometown - Silay City - in Negros Occidental is a little piece of paradise called Punong Gary's Place. It was once a secret culinary hideaway, but because of its uniqueness, it easily became the talk of the town, the world rather! Awesome places could never remain a secret in social media; hence, I already knew about it before Ed and I went home for Christmas! The moment we got our flight tickets to the Philippines, I immediately placed a reservation for weekend lunch. Although Punong Gary's Place has gained popularity, it remained a hideaway as it is exclusive to guests with confirmed reservation. I received a prompt reply in their Facebook Page. Getting a reservation wasn't as hard as I thought. I excitedly noted the important details: Sunday lunch. 11am to 3pm. Table for 10. 5-course meal. 750 Pesos per person. 750 Pesos! Yes, that is not a typo. Punong Gary's Place is quite an expensive dining spot. 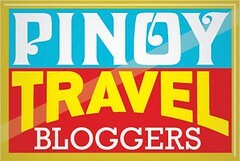 Punong Gary's Place: Where is it located? If you are not a resident of Silay, you might have a hard time locating the place. It sits in seclusion, patiently waiting to be discovered, in Hacienda Tinihaban. My family lives in Silay ever since, so it was easy for us to find this hidden gem. We took the Silay to EB Magalona road, turned left near Pryce Gas, and drove straight until we reached the signage. What is inside Punong Gary's Place? From the second I opened the old vintage door, I knew I was bound to experience something special. Bali-inspired cottages harmoniously bonded with lush vegetation. Every corner is decked with tasteful art pieces. Every edge is fringed with coconut trees and bounded by fish ponds. What is the story behind Punong Gary's Place? It surely isn't just another restaurant. The humble area surrounded by fishponds was developed and managed by the family of former Side A member Joey Benin. Punong Gary's Place was created with their desire to give back. They employed people from the local community and part of the restaurant's proceeds goes to the Clean and Green project. It is "a sanctuary of absolute calm" they say. It is HOME; a place to relax, to dine, to help. Punong Gary's Place is HOME. 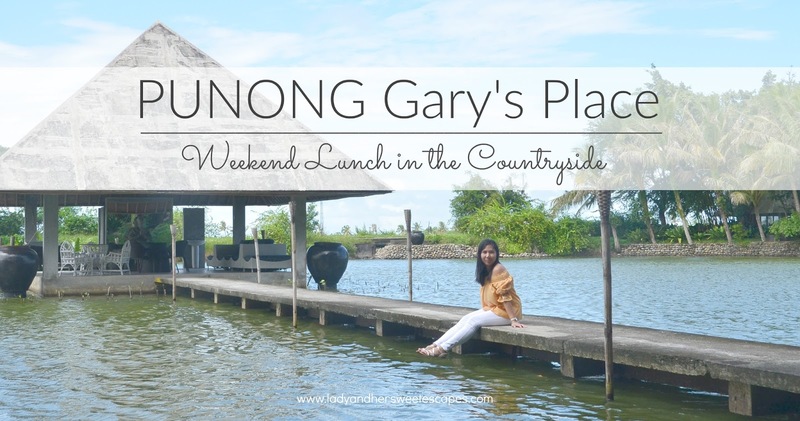 How was the 5-course lunch in Punong Gary's Place? Amazing! I can't think of a better word to describe my dining experience as a whole. We were warmly welcomed by Ms. Bing and her staff when we arrived. She gave us the option to dine in the main casita or beneath the trees. It was quite windy that day, so my family settled in a covered area near the lap pool. Each of us were given a copy of the menu of the day; a brief introduction to the culinary journey that we were about to take. It made me more excited. Punong Gary's Place offers comfort food with a gourmet flair! Our lunch started with Chicken Liver Pate served with wild berry sauce and crostini. With its smooth texture and buttery flavor, this appetizer is a wholesome reminiscent of foie gras. Everyone in the family loved the Asian Fruit Salad! It is made of locally-produced fruits and vegetables tossed in a sweet-tangy Asian dressing. I also could't get enough of the Creamy Kalabasa Soup. Who would have thought? I often shy away from kalabasa or squash, but this soup is so hearty, creamy, a little sweet and well-seasoned. Even picky eaters would love it. We had 6 options for main course and it was the Grilled Chicken Pesto Parmesan that caught my eye. It is Punong's gourmet version of the well-loved chicken inasal. The tender chicken breast was perfectly char-grilled, smothered with pesto sauce, topped with lots of parmesan cheese (I love!) and garnished with herbs. These are the main dishes that the rest of the family had. Check out the beautiful plating! A scoop of Vanillamasi (vanilla with kalamansi) ice cream drizzled with honey was served for dessert. It has an excellent blend of zest and sweetness; a concoction that refreshed my palate after a burst of savory flavors. The 750 Pesos lunch does not include a drink other than service water. You can order additional drinks from the extensive bar menu. Both alcoholic and non-alcoholic drinks are offered. Coffee, wine and beer are served as well. For our family lunch, we opted to have two pitchers of Honey Lemon Cucumber. It is a thirst-quenching drink made of freshly squeezed cucumber with lemon grass and honey. So, is it worth 750+ Pesos? Yes. A big fat YES, if you ask me. The food is good. The portions are quite small that big eaters might be longing for more after the 5-course meal. However, for me, the serving sizes were just right... except for the ice cream. My sweet tooth wished they served two scoops instead of one. The whole concept is unique. And to top it all off, the atmosphere is priceless! I would gladly shell out 750 PH Pesos = 55 AE Dirhams for a day in a tranquil sanctuary like Punong Gary's Place. Important Note: Punong Gary's Place is NOT open daily. Make sure to place a reservation before you visit. Send them a message in their official Facebook Page or call them at +63 917 327 1729.